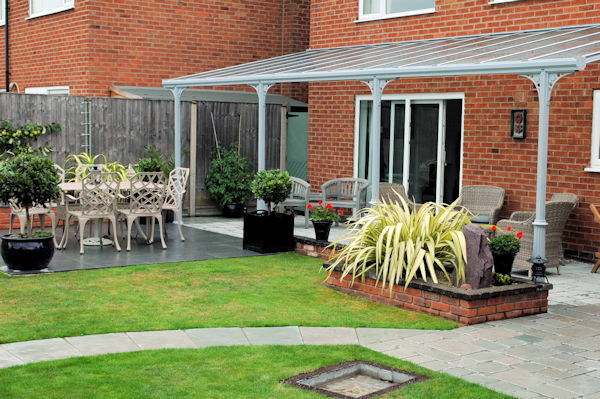 Our verandas, carports and canopies are made from aluminium and come in a wide variety of options to perfectly suit your needs. 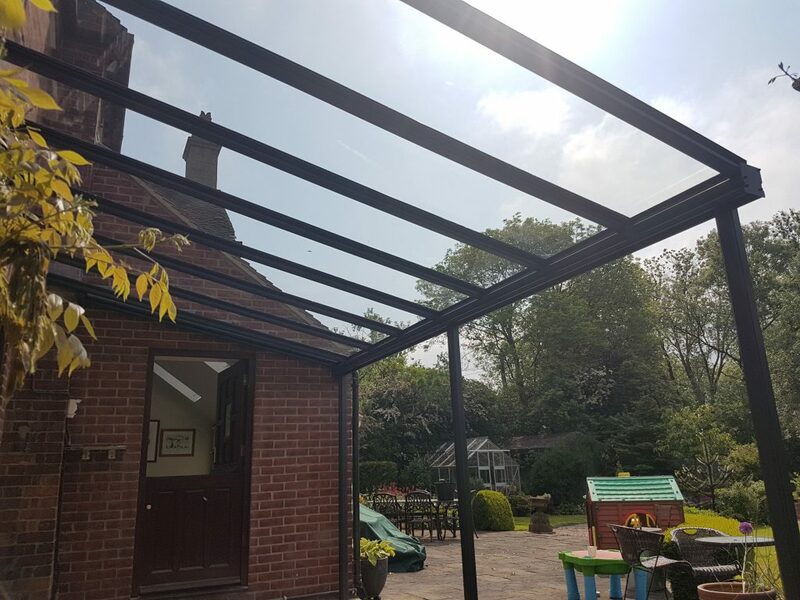 An array of outdoor structures can be created thanks to their unlimited adaptability and inventive design, which provide outstanding protection against all types of extreme weather, meaning they can be used all year round. 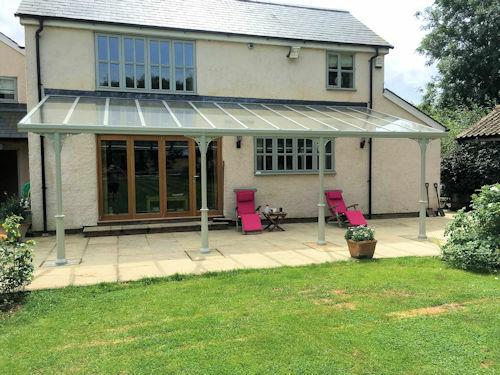 Our practical, efficient and sophisticated designs cater for both domestic and commercial needs, and are designed for a simple and fast installation. 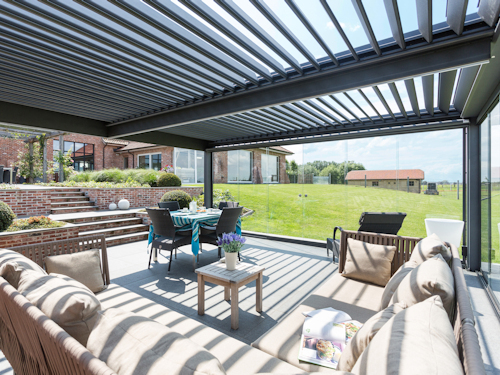 There are a wide range of options available including polycarbonate or glass roofs, and upgrades such as integrated lighting and heating. All styles are available in any RAL colour to match existing colour schemes. 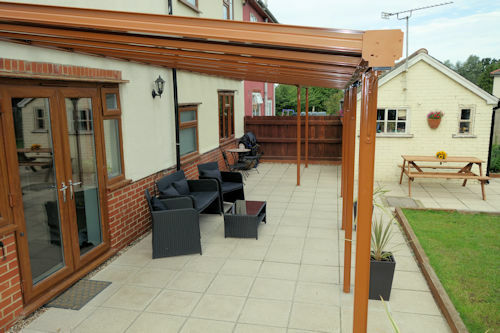 The ‘Simplicity’ structures form the ideal veranda for any building, from private homes to other residential buildings such as apartment blocks or care homes. 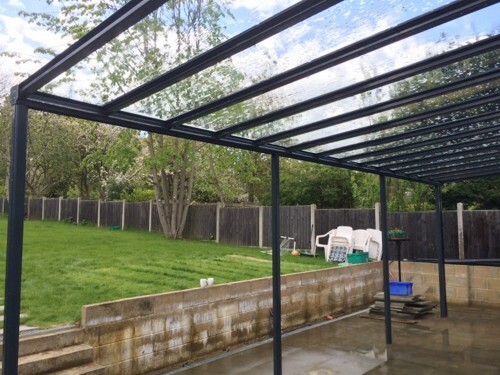 All of the systems have unlimited lengths to cover the entire width of any building, offering continual protection against all types of weather, allowing year-round usage. 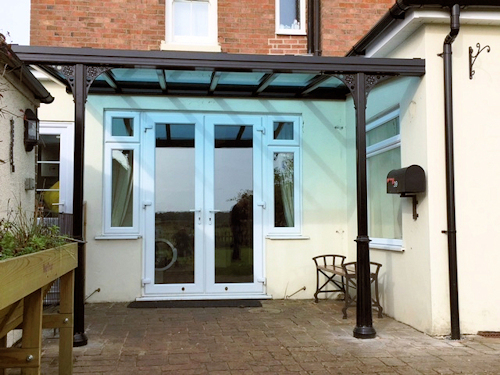 All of our verandas can be sprayed to any RAL colour and have multiple upgrade options. 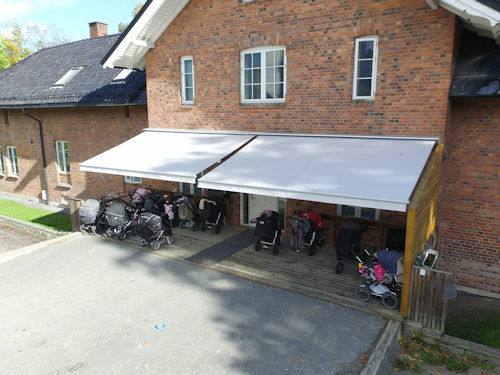 Thanks to their simple and modest style, our carports can suit any environment and home. 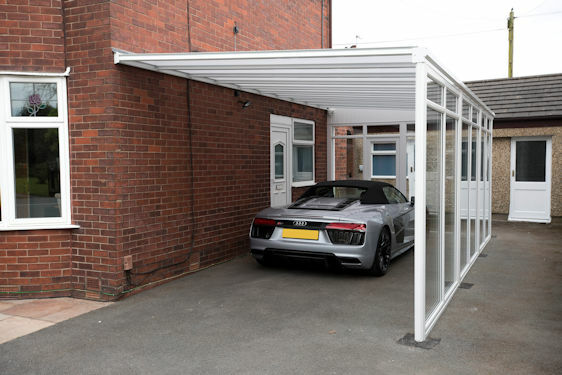 They protect vehicles from the harshest of weather conditions, creating a useful addition to any property that protects the most valuable of assets all year round. 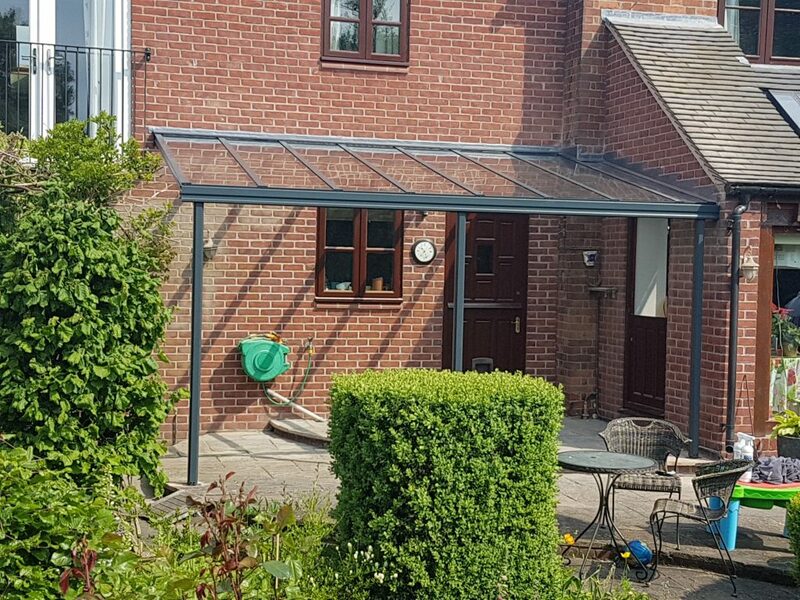 The all-aluminium structures can be sprayed to any RAL number and a Victorian upgrade option is available for those who require a more vintage look. Our glass rooms are exceptionally versatile and can be used for a multitude of applications, such as an external dining area, perfect for entertaining guests at parties and get-togethers, whilst also being a peaceful area to relax. The glass room upgrade can be added to a number of our systems and can be sprayed to any RAL number, and also have the options for extras such as integrated lighting and heating.